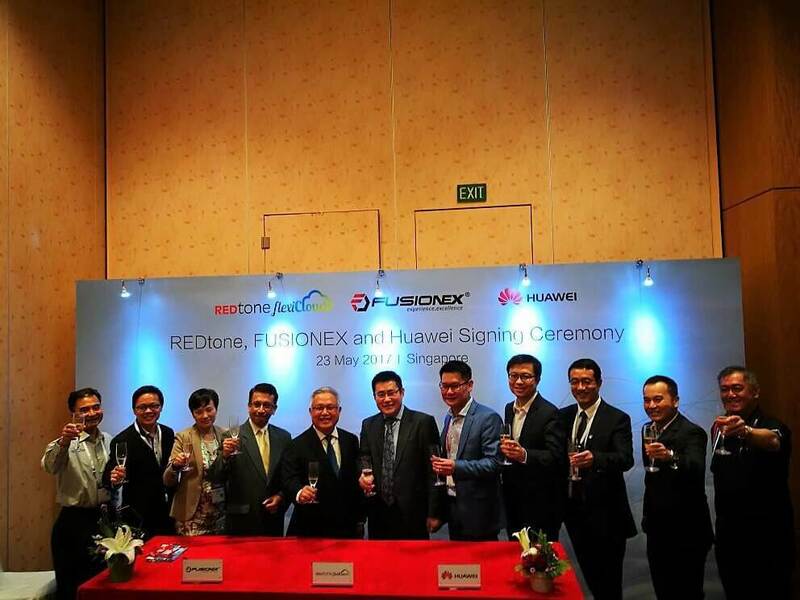 Huawei, REDtone and Fusionex announced the forming of a tripartite partnership to serve the rapid increase in demand for big data and analytics Cloud solutions in Asia Pacific. A Memorandum of Understanding (MoU) between the three parties was completed at the Huawei eco-Connect, Singapore, in conjunction with CommunicAsia 2017, the largest ICT trade event in the region. According to Huawei’s Global Connectivity Index 2017, a yearly survey conducted by Huawei to track key countries in their progress towards connectivity, having a robust ICT infrastructure is foundational to digital transformation. While Broadband networks and Datacenters form the basis of a digitized world, Cloud Services power the use and analysis of Big Data and Internet of Things (IoT) where actionable insights are driven. “With this strategic partnership, we are moving towards swift digital transformation together with our partners and customers, as well as enabling business success of our customers by helping them to cloudify their business through our global experience and professional services. We see this as a future model of growth for enterprises in the digital era,” said George Pan, Chief Technology Officer of Huawei Malaysia. “Businesses facing digital transformation are no longer “going it alone”. Finding the right technology partner is mission critical. At REDtone, we leverage cloud computing, Big Data, IoT and enhanced vertical applications to facilitate enterprise digitalization towards agile and smart operations, to ultimately deliver an extraordinary experience to the customer.” said Mr Lau Bik Soon, Group Chief Executive Officer of REDtone International Berhad. Huawei eco-Connect, Singapore, is an annual ICT gathering organized by Huawei to showcase its innovative technology and latest solutions, as well as to demonstrate successful use-cases of Huawei and its business partners in the ICT ecosystem.